Out of the launch window? According to the latest Iwata Asks, the highly anticipated strategy game Pikmin 3 has been pushed back to a Spring 2013 release in North America. The game was previously slated as a 'launch window' title across the US, but that period ends on March 31st - which is just eleven days into Spring. Unless it is released between the 20th and the 31st, it's going to miss the window. Nothing was mentioned about the European release date, sadly. 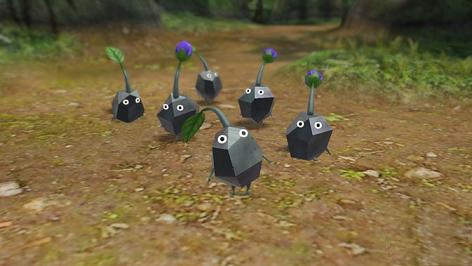 Pikmin 3 was shown in demo form at this year's Eurogamer Expo in the United Kingdom, but for those of you who couldn't make it, we've included the trailer shown at E3 this year. That will have to keep you occupied for now, unfortunately. Not really surprising - it was already confirmed Q2 in Japan and just 2013 in Europe, so it's more than likely going to see worldwide release. It might only be delayed a month or two; I think we could see it in April. Ah well, I've got plenty of games on my wishlist anyway.. Pikmin will have it's moment of glory once it comes out, untill then.. I'll be enjoying the hell out of everything that comes before it. I really wish Nintendo -and any other game companies for that matter- would stop giving games release dates so early and then constantly push it back. Just announce the release date when the game is actually ready. Nothing was mentioned about an European release date? I'm from Italy and i can tell that's already set for march. So this probably is a NA localization problem. I hate seasons being the opposite in the northern hemisphere. Made me think it was another year away! This reminds me of the early days of the 3DS. Don't count on any date that Nintendo announces. While disappointing because I was really looking forward to playing Pikmin 3 on my new Wii U during the holidays, I'm happy for them to take as long as they need to get it perfect. Much better than them rushing it just to get it out on time. We needed a game to replace Duke Nukem as the "never coming out" game. I think Pikmin 3 is trying hard to fill that void. Well it's hard to sprout a seed in the fall and winter. Even if the game doesn't come out right away, you know the wait will be worth it. I just wish it was on a system I own. Whenever I've waited longer than anticipated for a game from Nintendo, and it finally arrives albeit a month or several months late (in this case easily 4years late if not more) then it's always been worth it. I can't say the same but for Nintendo, the quality of the game far outweighs the wait. And as for being a fan of pikmin, if you love it that much, you'll get it. 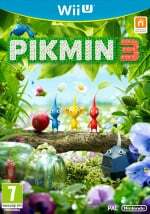 Pikmin 3 is the main reason I want a Wii U and due to other financial requirements, I may now cancel my pre-order for the Wii u until Pikmin 3 is released (or due to be). Christmas 2013 or Spring 2014. This works out in my case since I have yet to complete Pikmin 1 haven't even brought Pikmin 2, still have other games to complete, and would be broke till Christmas after getting the wii u and 2-3 other games. @LavaTwilight I feel the same way about Luigi's Mansion 2. Even if I can't have the game right away, I know it will be worth it. Make it great, not quick. Well, I guess spring is when the flowers come out. If they need the extra time to make the game better, I'm alright with it. To be honest, I really couldn't care less on whether Pikmin 3 was to come early or late. Because in this scenario, I agree with BenAV on the WHOLE take as long as you need process to make sure the game comes out perfect to everyone's liking. All in all, I think Spring 2013 is alright for a release date. Just so as long as to make sure they don't screw anything up with this game. I'm down with this. It will give my wallet some time to recover. I'm ok with this, I'm trying not to spend so much money, so I can move to Japan and if I don't spend a lot by April I could, but I'll be realistic and say sept. Plenty enough games in the meantime. I hope tey take time to put in online play in the game now. This article is completely misleading in saying that the release date has been "pushed back". On the source site it is referring to it simply states "Pikmin 3 is scheduled for release for the Wii U console in the spring of 2013". This title was never announced as a launch day or even a holiday release. If anything it was always suggested that it wouldn't be available until 2013, yes, spring 2013 still falls within their promised "launch window". I would be really surprised if Nintendo didn't release this by March 31, that timing would be perfect for another boost of sales with a first party title (rather than have a bunch of their first party titles competing with each other during the first couple months). I think the release date has more to do with marketing and sales timing necessarily than development demands. I predict Sunday March 24 (the first Sunday in Spring) with a heavily spring-themed marketing campaign. And I remember saying that their games at first won't be 1080p, so I was assuming Pikmin 3 won't be full HD. I don't mind. It will give them more time to create the best game possible. I have other things to look forward to in that time for the Wii U, my existing Xbox 360, and hopefully a 3DS sometime after Christmas. Disappointed, but I will have plenty of other games to tide me over! And to think I was really hoping to get this at launch with my new Wii U. Oh well. At least its something in 2013 to look forward to. Aw, oh well at least we know roughly when it will come out. At least it's Spring, so it will fit with the game theme. Wouldn't surprise me if it gets pushed untill Holiday 2013! That's Nintendo for you! Anyway, this one is my biggest reason to get a Wii U (until they announce Zelda or a 3D Mario), so I can patiently wait. In the meantime, more games will be released and some prices may lower. Well, there goes my pre-order! @Jamouse That's actually a very good idea, because when the game is ready it is usually a couple of weeks or months away from release, so announcing the release date close to release actually makes people more excited.